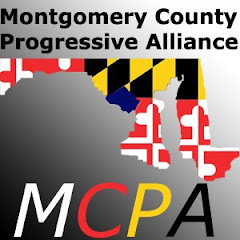 Mary writes: I had a conversation with Sam Statland tonight, our Democratic representative on the Montgomery County Board of Elections. He reports that it is not going to be possible to secure passage of legislation that will add a paper ballot and automatic audit to the Diebold system, in this session. He believes that many concerned legislators are unwilling to legislate funding for another unproven system (the paper add-ons) at this time. He says this in the context of the Help America Vote Act (HAVA) which requires that all electronic voting systems be analyzed and certified by the federal bureau of technology and standards. Although the legislation is 4 years old, the standards testing of voting systems has not yet occurred. Meanwhile, the one piece of crucial legislation that can still be passed, in this session, is HB 622. This bill will permit any voter to vote absentee for any reason: essentially a paper ballot bill. We must press the State Senate Education, Health, and Environmental Affairs Committee to pass this legislation. OUR MESSAGES MUST BE RECEIVED BEFORE NOON ON THURSDAY. I am attaching Sam's letter with the crucial contact info. He believes that messages coming from voters outside of Mont. Co. are especially helpful - if you have friends in other counties. SUGGESTED CONTENT: HB 622 Absentee Ballot on Demand has been passed by the House 130-0 and forwarded to your Senate Committee. HB 622 is a good Bill. It removes all of the requirements for requesting an Absentee Ballot while leaving the administrative, voting security "watch dog" process in place. It helps the State of Maryland comply with the Help America Voting Act of 2002 (passed by Congress after the 2002 Florida debacle) by opening access to the election process. The economic and social impacts of the bill, as reported by Maryland Legislative Services, will improve access to the voting process, make it easier for folks to vote, be paid for out of the State Board and Local Boards current budget, in the long term reduce the cost of elections, and shorten lines at the polls. For these reasons, The Maryland Association of Election Officials (MAEO) has endorsed this bill. It is good legislation, and has been enacted by 25 other States. Please help secure passage of this important legislation. Calls and faxes are FAR more effective, but if you send an email as well, the Subject Line should read: "Please pass HB622-Absentee Voting On Demand."